HomeWhy Use Snap Caps and Dummy Rounds? I prefer using dummy rounds, or “snap caps” to perform my many hours of dry firing training and gun manipulation drills. I have been asked why use snap caps or dummy rounds when practicing these drills? 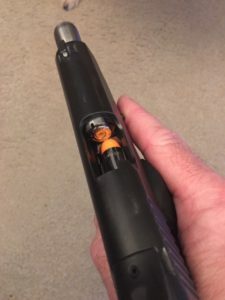 There are many reasons to use them and I will go into them in this article as well as detail how they can be used for various malfunction and reloading drills. Dry firing is simply operating a gun or pistol without using live ammunition. This can mean using no ammunition at all or using so called “fake” or “inert” ammunition that does not result in a projectile leaving the barrel of the gun. 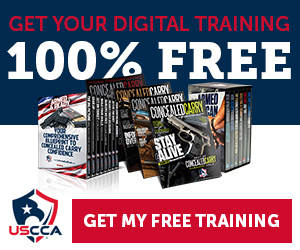 Dry fire training is an effective and valuable way to improve all your gun handling skills and is recommended by all professional firearm trainers. A more accurate term would be “dry practice” as technically you are not “firing” anything in this situation! Dry practice is taught at Front Sight Firearms Training Institute among other firearms training schools. It not only improves muscle memory and hones skills, but save on ammo as well! What are snap caps and dummy rounds? Dummy rounds are fake ammunition that you can load into your gun to practice shooting, malfunction drills, tactical and emergency reloading, etc. 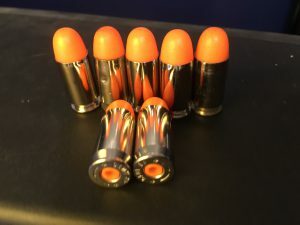 They look just like real ammo in shape and size, but are generally orange or blue or some other color that indicates they are not live ammunition. They are inert, having no primer and no powder in them which make them completely safe for use when you are not at the range. The word “snap cap” is a generic trademark of the fake cartridge that was originally made by the American firearm accessory brand, A-Zoom®. As such, the words “snap cap” and “dummy round” mean the same thing as far as this article is concerned. Dummy rounds are designed to have the same dimensions as real ammunition so that they fit in the gun properly and can simulate the functions of the gun, other than the “BANG” part! There are other manufacturers that make good ones and I will make recommendations as to the ones I use and have used in the past. Besides using them to practice some drills, dummy rounds are also used to test the cycling and ejection functions without having to go to the range. Advantage of using snap caps and dummy rounds. 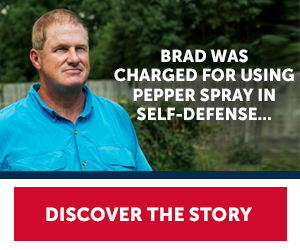 The main advantage is that you can practice your skills at home and you do not need to go to the range, and you do not risk a negligent discharge. What are some drills I can practice using snap caps and dummy rounds? Know and practice the 4 rules of gun safety at all times. Be 100% sure your gun is unloaded. Always triple check the magazine and chamber on a semiautomatic and the cylinder of a revolver before dry fire or dry practice. Never point the gun (dummy rounds or not) at anything or anyone you do not intent to destroy! Ideally aim at a brick or concrete wall when dry firing in your home. If you do not have such a wall, be sure you are aiming in a safe direction such as into a dirt berm or other bulletproof backstop. Types 1, 2 and 3 malfunction drills. Chamber check & magazine check. What are the best snap caps for dry firing? I personally prefer ST Action Dummy Rounds as in my experience they perform the best and have held up the best. They are available in all the popular calibers. I also like that they are bright orange making it difficult to confuse them for real ammunition. My experience with Tipton Snap Caps was not good. I bought the .45 ACP snap caps and they fit so tight in the chamber that I could not get them out. Dummy rounds are in valuable for practicing your malfunction drills when preparing for the skills test at Front Sight Firearms Training Institute. I credit dummy rounds as one of the most useful tools for me to finally get my Distinguished Graduate certificate after practicing for hours using PST action dummy rounds in 45 ACP. Front Sight does not require you to use dummy rounds, and they actually recommend not using them and will show you how the drills can be practiced with no ammunition at all. While I agree that it is quite possible to practice the malfunction drills and manipulations without any mission, I find it is by far more beneficial to use dummy rounds because now you are doing the exact same motions and manipulations as you would on the range with real ammunition. How to Use Snap caps and Dummy rounds to practice drills. Here are a few examples of skills that can be practiced using inert ammunition. Click on each drill to see my tutorial articles. To set up for this malfunction drill, simply load a magazine with dummy rounds and insert it into the gun. Now you are all set up to perform the drill. Simply aim the gun and pull the trigger. Because the chamber is either empty or loaded with a dummy round, you will get a click but no bang and then proceed to perform the malfunction clearance. Similar to the type 1 malfunction, simply load a magazine with dummy rounds but do not insert it into the gun yet. First lock you slide to the rear and insert a dummy around into the ejection port so that when you release the slide and allow it to slowly close, it will close capturing the dummy around and will therefore be set up for a type 2 malfunction. Simply aim the gun and attempt to press the trigger, you will get a dead trigger and then you will perform the rest of the malfunction drill. For this drill you will need magazine loaded with dummy rounds and a holster on your belt. To set up the gun for this drill you need to lock the slide back then insert a dummy around into the chamber of the gun, then insert a magazine that is fully loaded with dummy rounds into the gun. Then gently release the slide so that the gun is now trying to load a dummy round into the chamber where there was already a round. Now you are ready to perform the Type 3 Malfunction drill. For this drill you simply need two magazines loaded with dummy rounds, one in your holster on your belt and the other in your gun and then proceed to perform the tactical reload drill. For this drill you will simply need a magazine in the holster on your belt loaded with dummy rounds and an empty magazine inserted into your gun with the slide locked back. You are now ready to perform an emergency reload drill. When you attempt to fire, you will get a “dead” trigger, and a quick look into the ejection port will reveal that your gun is empty. You will then proceed to complete the drill. I hope I have given you useful information and good reasons why you should use snap caps for your dry fire training. 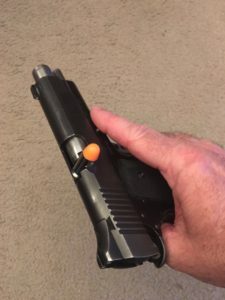 Get some dummy rounds for your caliber handgun and start practicing some of these drills at home and watch your skill at arms improve drastically!